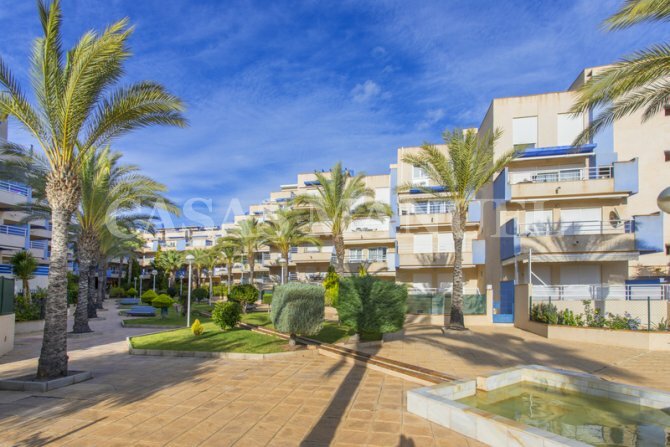 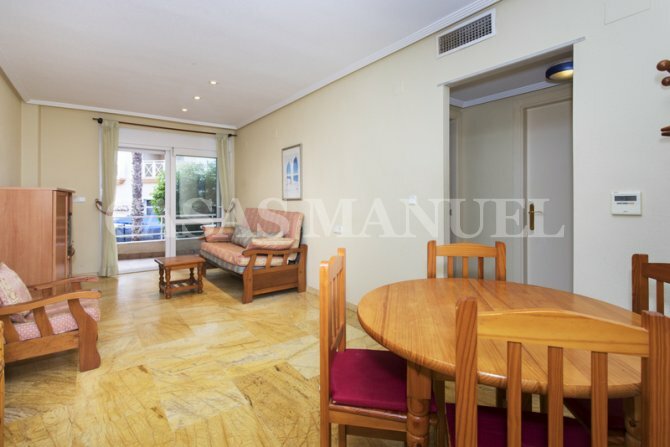 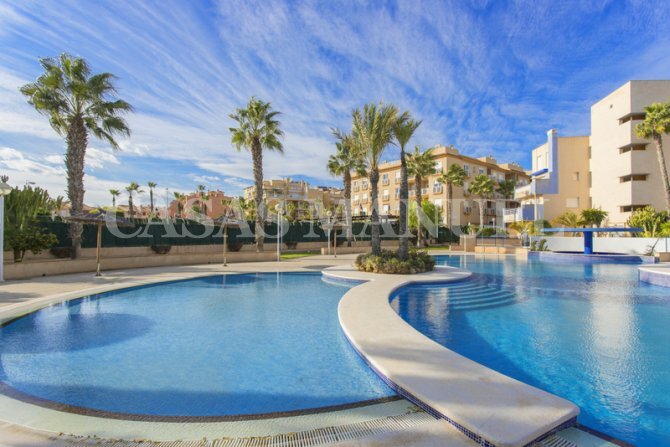 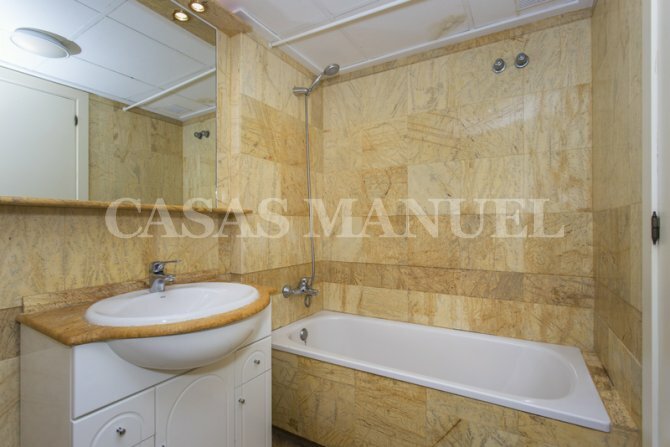 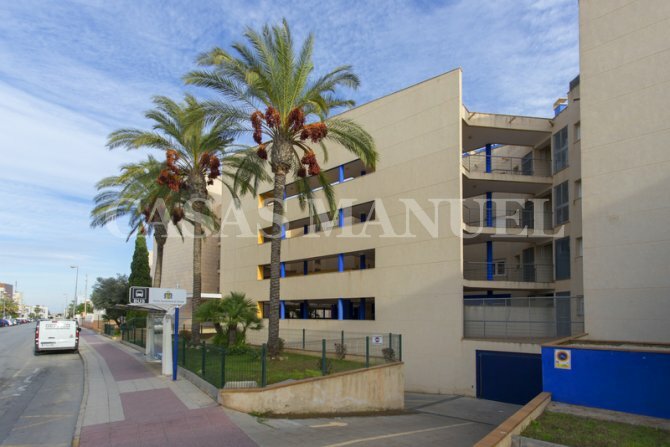 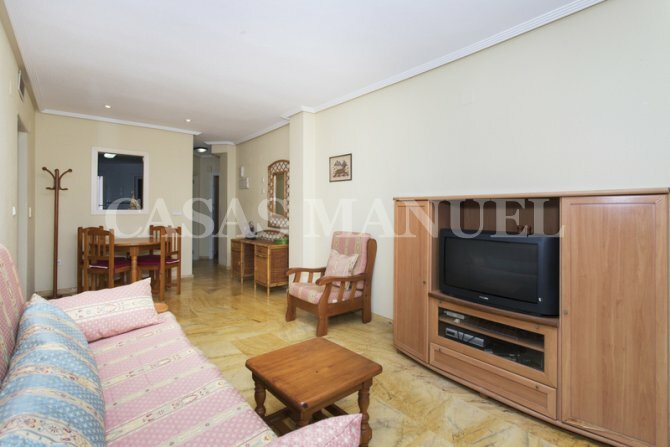 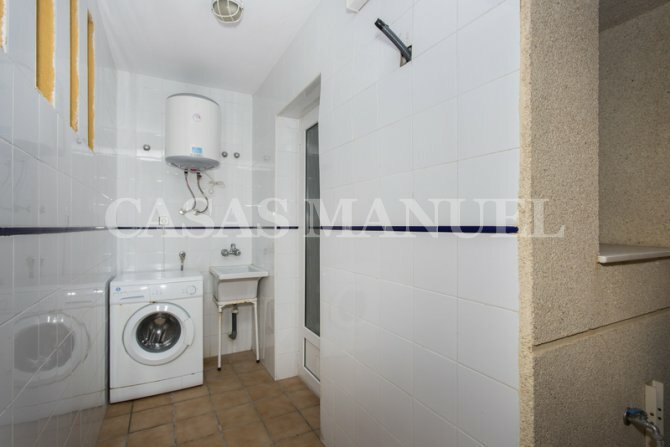 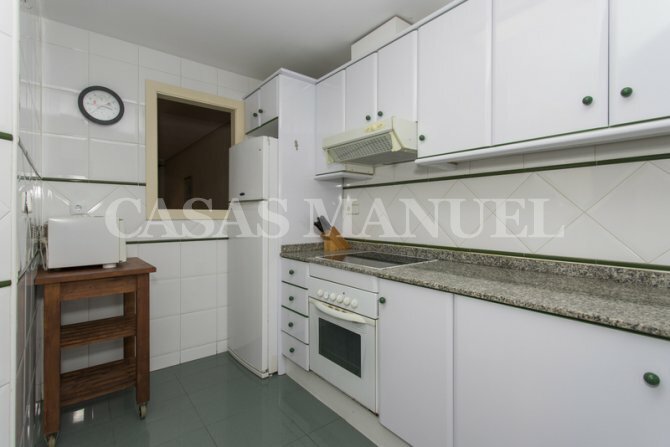 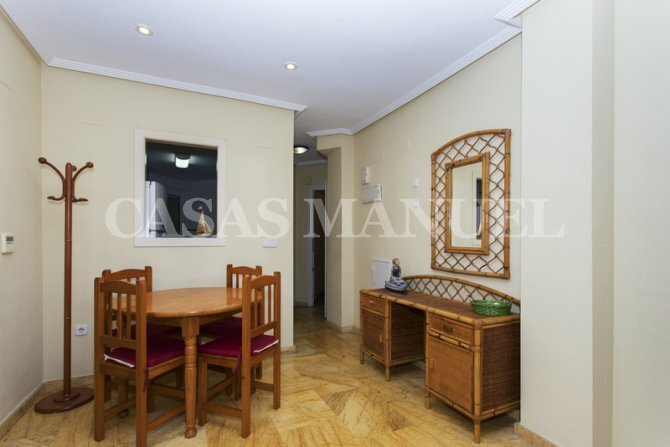 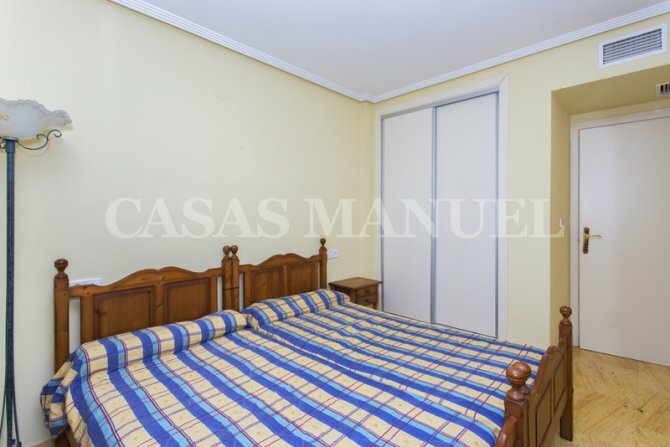 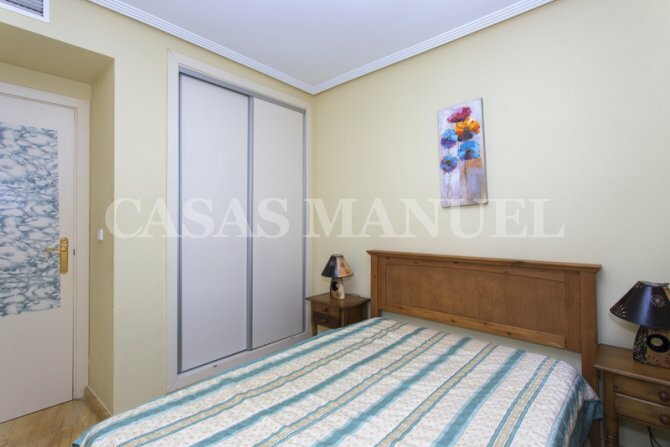 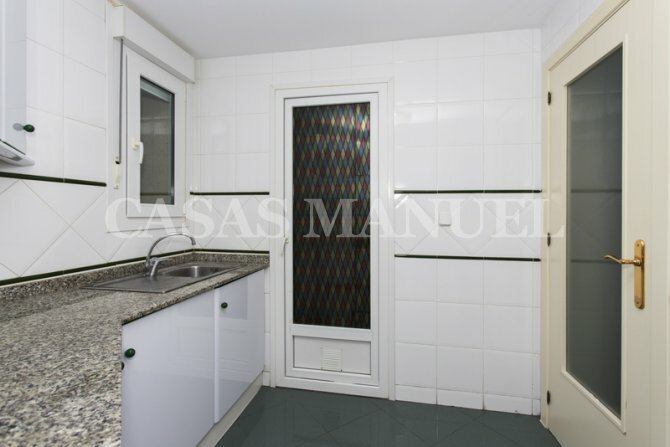 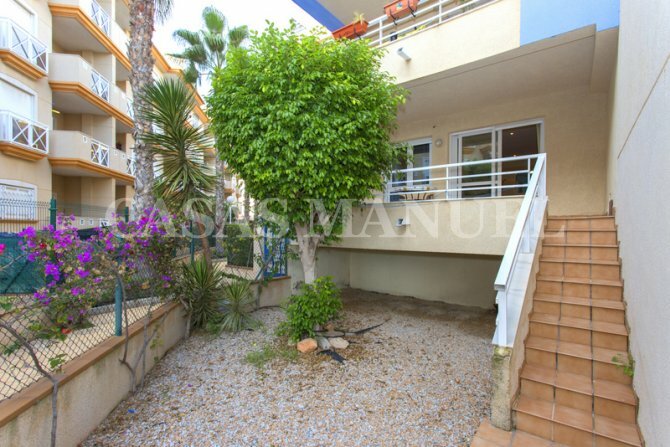 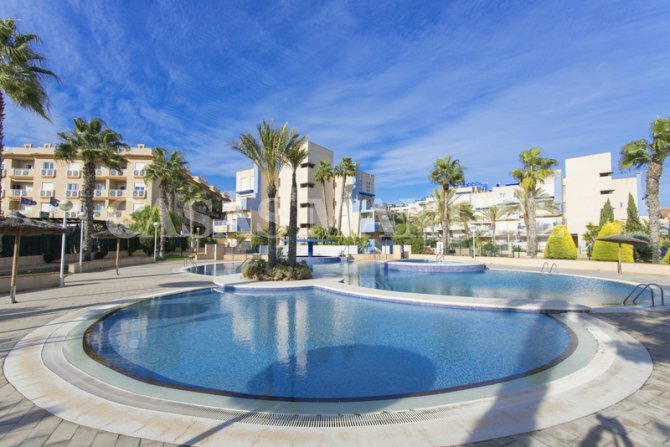 This is a lovely ground floor apartment with garden situated in Aguamarina. 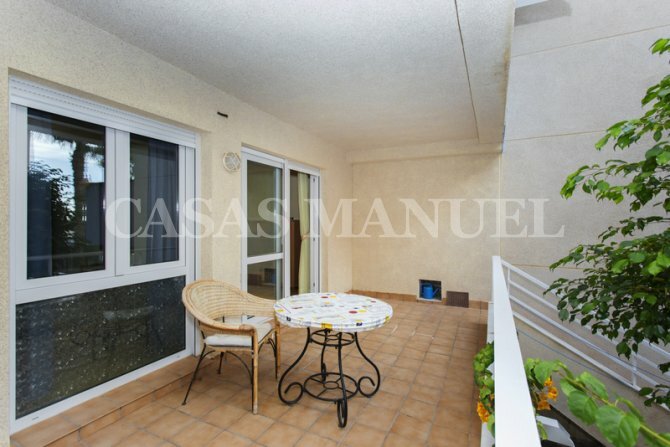 It has a lovely lounge/dining room with a lovely terrace for al fresco dining. 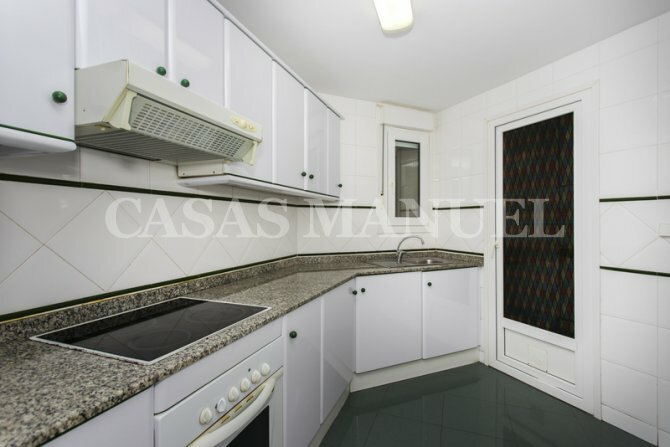 The kitchen is fully equipped and has a large utility room. 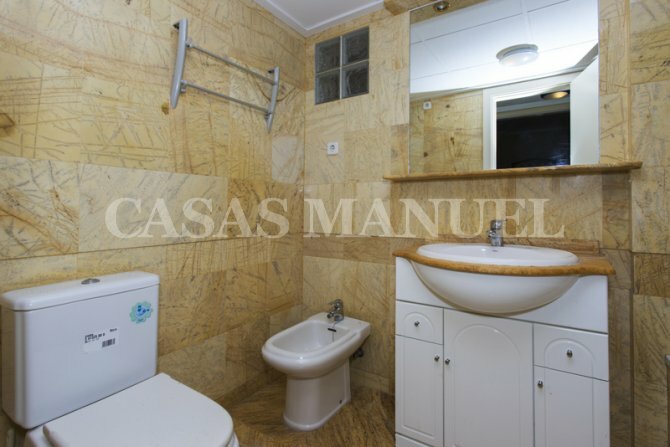 The property has 2 good size bedrooms and a family bathroom. 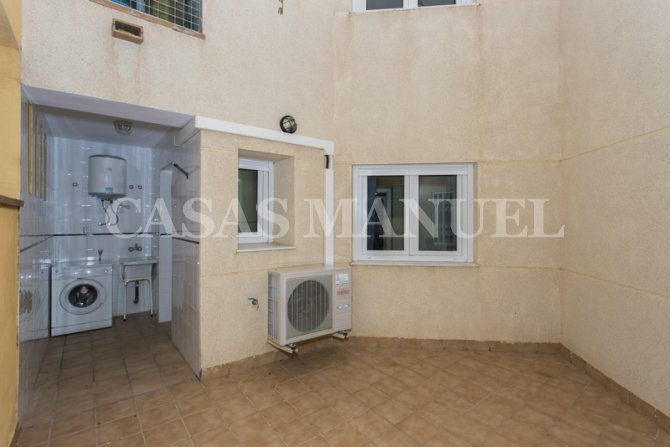 It is sold furnished and has A/C. 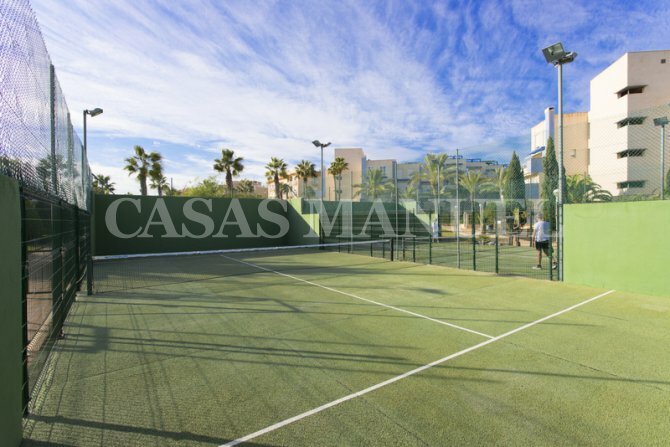 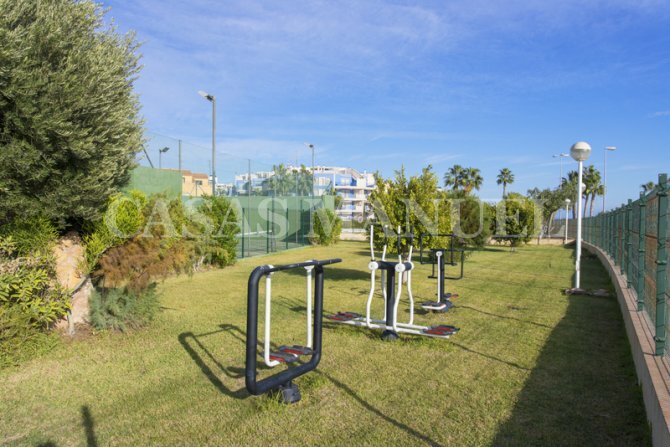 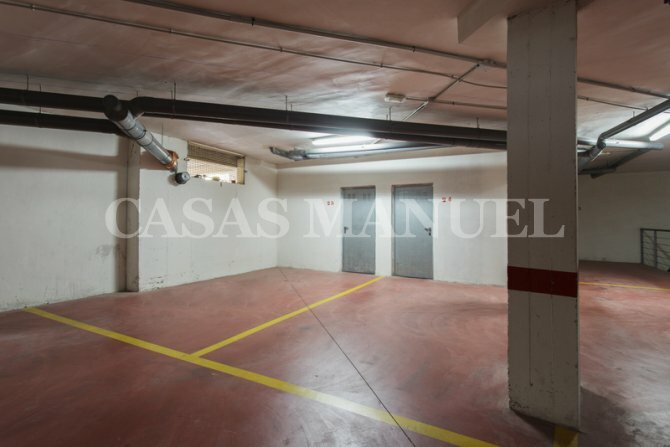 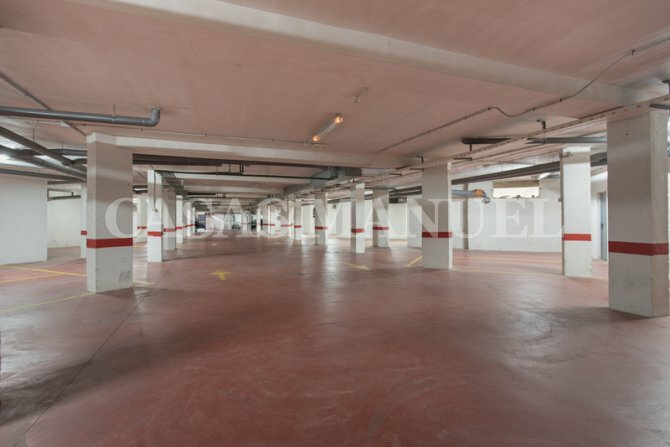 It has a fantastic communal swimming pool, padel facilities, underground parking space with storage room.